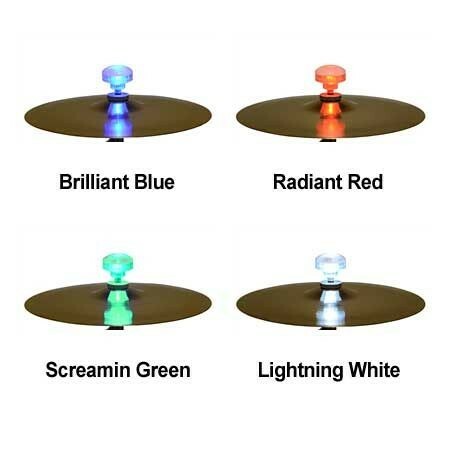 Cymbal Lights – These Vibration Sensitive LED Cymbal Nuts will light up the stage for an electrifying performance. Easy ON/OFF switch, Twist off top for battery replacement, Brass threads for a secure fit. Fits all modern cymbal stands with M8 x 1.25 thread type! This listing is for one BLUE cymbal light.